The transversal journey of an individual between Maya and Divinity. The novel ‘Palace of Illusions’, by Chitra Divakaruni tells us ‘the story of Mahabharata as retold by Draupadi with the woman ‘placed in the forefront of action’. The narrative exudes the energy, confidence and strength of womanhood displayed through a self reliant and self-realized character. This is the key source of inspiration for concept development, choreography and direction of this theatrical dance adaptation. 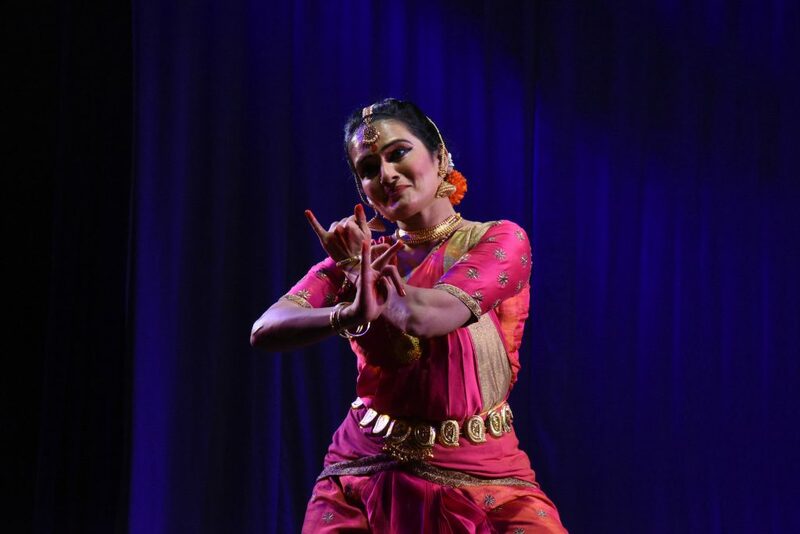 An attempt has been made here to fuse the two mediums – literature and Indian classical dance – to create a single piece in a theatrical format. 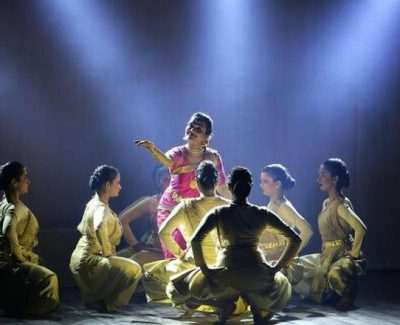 The choreography revolves around the events as narrated by Draupadi the protagonist, whose joys and sorrows, desires and despairs, and her love and vengeance are reflected by a group of dancers. 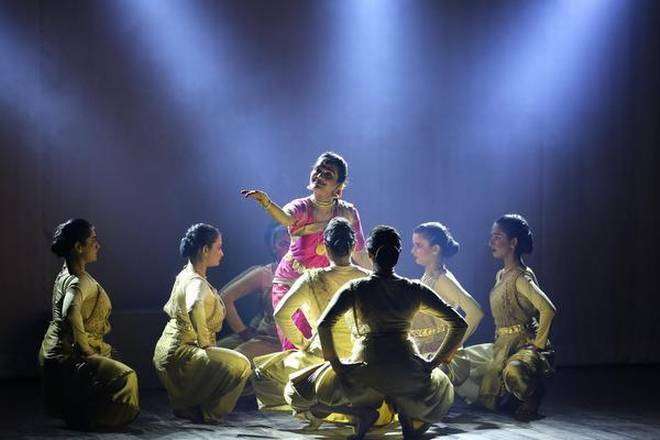 The choreography revolves around the story as retold by Draupadi, the protagonist. 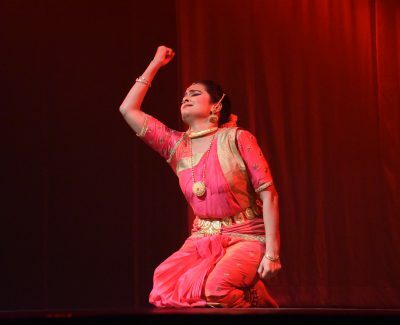 She is the sole performer while a group of 5-6 dancers reflects her joys and sorrows, her desires and despair, her love and losses – all of this through movements codified by shashtra-s, with aesthetic symbolism. The storyline unfolds the legend of Mahabharata and in doing so, reveals the deep layers of humanity, especially, women’s psyche in its varied colorful facets. And yet, this colorfully bright canvas of a woman’s life turns grey when the brush is in the hands of men she encounters at various stages of her life! A conflict of destiny with the character of a powerful woman reflects the deeper psyche of the 21 st century woman. 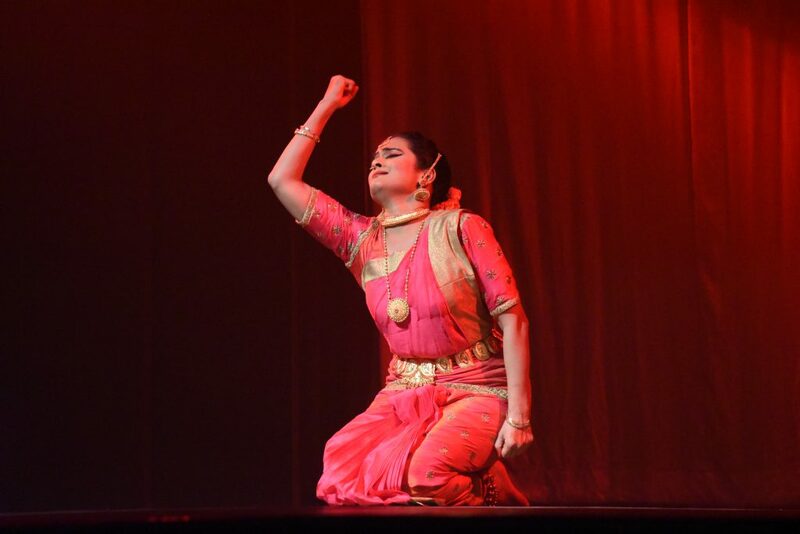 When Draupadi tells the story, the male as well as the female characters are reflected in their naked, human condition! The elements of love, mystery, struggle and self –discovery unfolds as the production progresses through a strong and intelligent protagonist. Draupadi, perhaps the most significant of female characters in Mahabharata, is a princess born ‘to change the course of history’ and who though forewarned, makes mistakes, and because of vanity, is ignorant of the divine grace that has been continuously showered upon her. 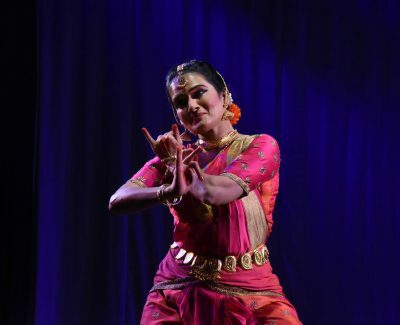 When Draupadi tells the story without directly raising any gender issue, the male, as well as the female characters, are reflected in their true human condition. Her experience of the most devastating misfortune in life raises empathy among women even in today’s patriarchal society. Draupadi is agni putri is born out of fire: as Panchali, she burns in the fire of pride, vengeance and anger. And yet, as Krishnaa, her innate fire for love and true happiness leaves mark in history as being immortal and divine.